So, today is one of those thinking days… the kind where you remember good times, and also the people who hurt you. For me, I remembered a few people who I met in Auz. I also remembered a good old friend of mine who I don’t really talk to anymore– for big reasons that exploded and evaporated. But tonight is a thinking night. I tried going to the studio for a bit of solace– only to find it crowded, messy, and noisy. Usually, at 9:00pm, people are mostly gone except grad students and a few classmates. None of my classmates where there. I tried tuning the noise out with “Half Moon Run” (a great Canadian band that my Aussie museo friends turned me onto) and that kind of got me thinking about the people I met while in Australia. So tonight, I came back home after decorating a few things, to have a bit of peace and quiet. I haven’t actually let myself have time to be alone since I got back from Australia. It has been “go, go, go!” what with getting back to my job, a studio where I can have a bit more freedom, and trying to make time to see my family. I have kept myself busy. Not to mention having my own place and trying to keep up with all of my own messes in between everything else. I have been thinking lately, about getting back to drawing and jewelry making. I never sold much jewelry, but I always enjoyed making it. Guess I should try wearing it every now and then. 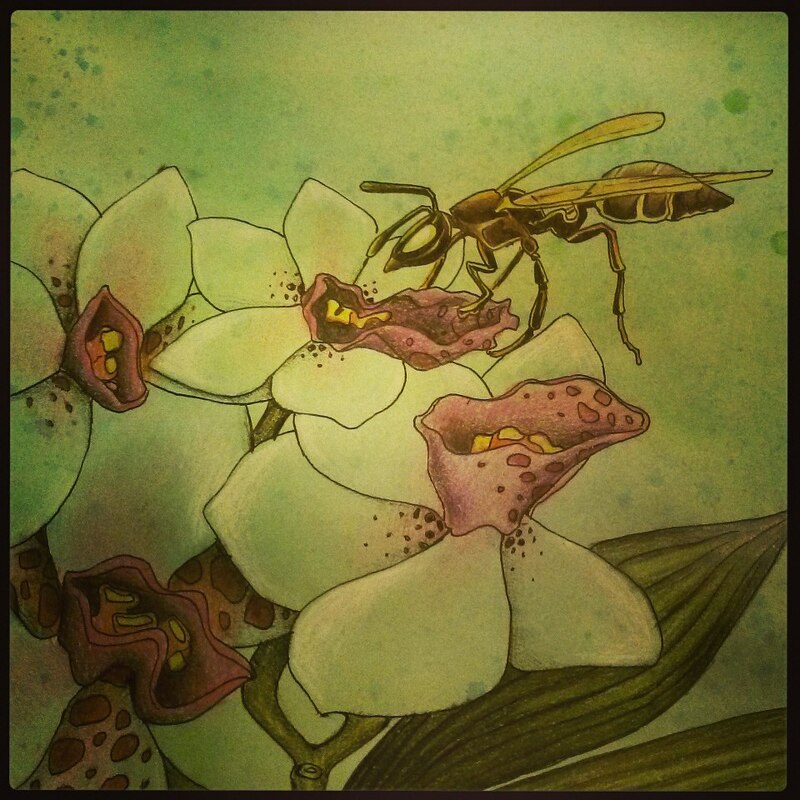 But I want to do more watercolor drawings, like the one above. That one is now framed and hanging in my living room area. I want to draw, but I don’t have my watercolors here and I don’t have a specific idea to start with. I just feel like I want to draw. Maybe I will. This entry was posted in Art, Deep Thought, Nature, Painting, Uncategorized and tagged australia, drawing, friends, getting all emotional, museo, reminiscing. Bookmark the permalink.